I decided to collect here, in one place for your reference, all of the different forms of doubling that you may come across while searching Lincolns. There are many pitfalls on the path to recognizing the classes of doubled dies, so I endeavor here to show a comprehensive list, with illustrations, of all of the forms of doubling which are not the result of hub doubling. 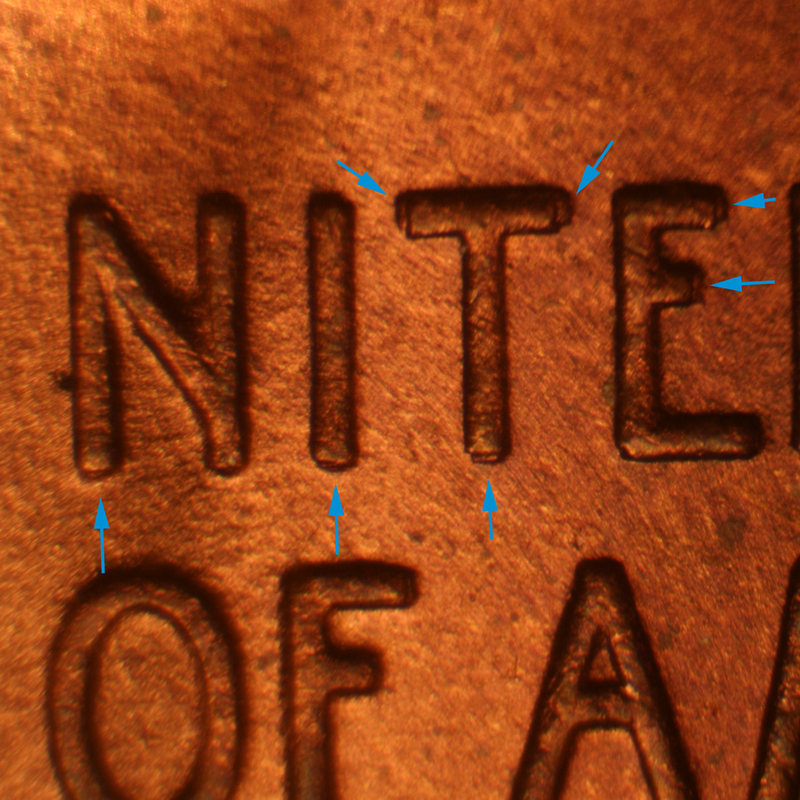 Again, what follows are not doubled dies, though are often confused as such. Section 1: The basics – the following are the most common causes of doubling and do not generally carry any premium. Machine Doubling (Also Machine Damage Doubling, or Strike Doubling): This occurs when a loose die bounces (push-type machine doubling) after the initial strike and hits the planchet again in a slightly offset position, flattening a portion of an already struck device, creating a “shelf-like” doubling effect that cuts into the normal size of the device. 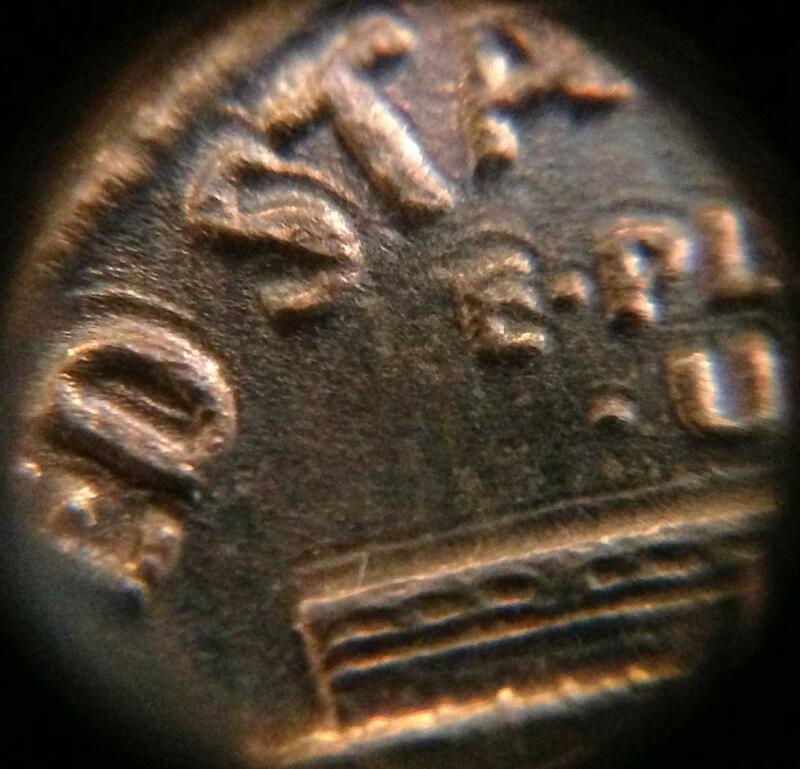 This is often misconstrued as a doubled die by novices, but is common and essentially worthless. 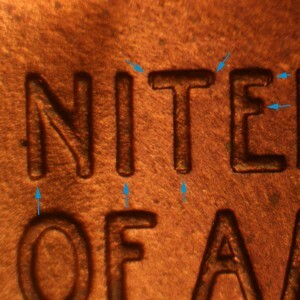 Sometimes the die will “slide” rather than bounce, creating a smeared look to the devices. (slide-type machine doubling). Ejection doubling is another form of machine doubling where the coin “sticks” to the anvil die when being ejected from the striking chamber. In addition to the examples below, please see Jason Cuvelier’s excellent tutorial Here. 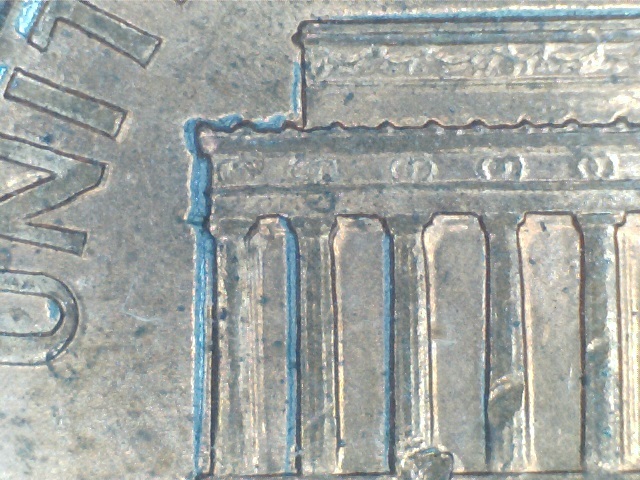 Die Deterioration Doubling: A circumstance that occurs from die deterioration whereby the devices show a duplicate image on a coin. 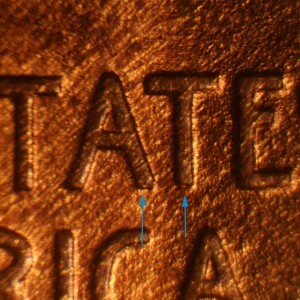 As metal must flow into the recessed areas of the die during the strike to form the devices on a coin, the edges and corners of the design elements on the die begin to wear. 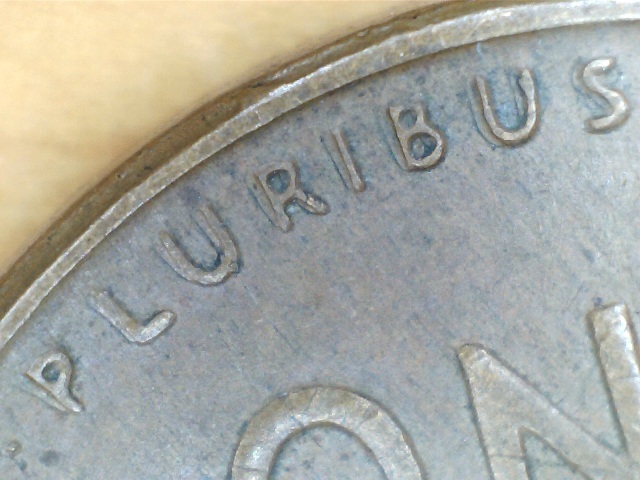 Eventually, this wear shows as a doubled image on the coins they strike. 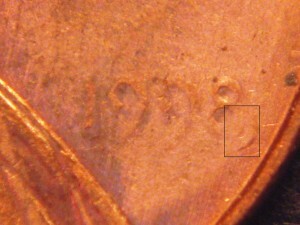 On Lincoln cents, the date and mint mark are often the first to show this doubling, since these devices are in the middle of a field with no other counter-relief to aid metal flow. 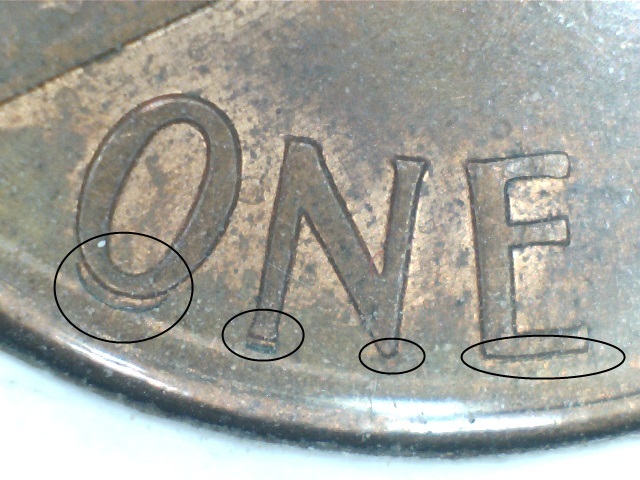 Die deterioration doubling usually exhibits on the rim side of the devices, as in the example below. 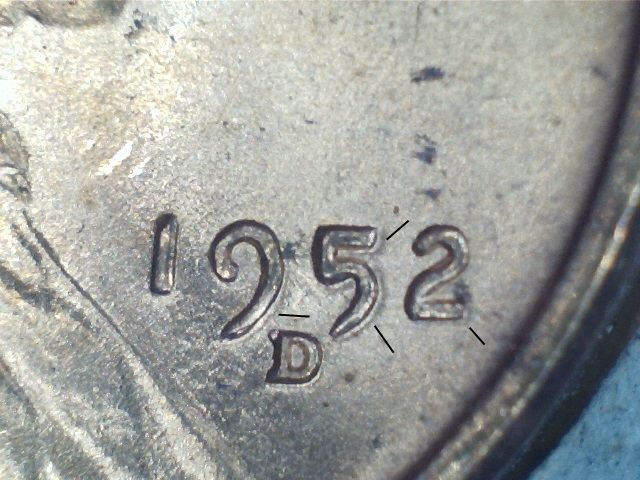 The 1955 “Poor Man’s Doubled Die” is NOT a doubled die at all, rather it is an example of die deterioration doubling. 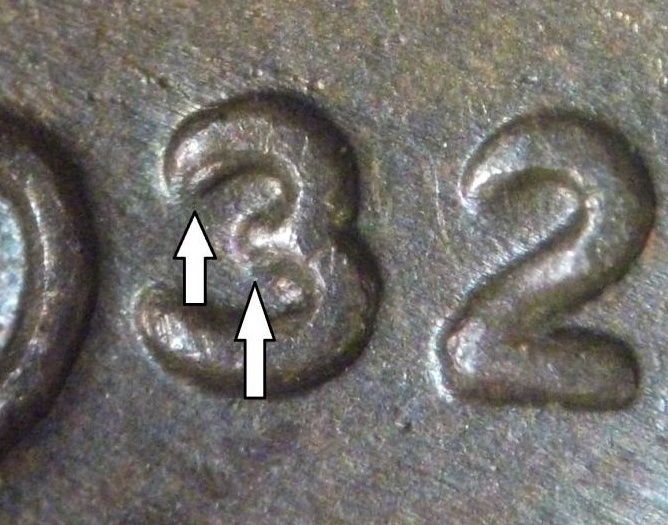 Dies in this time period were grossly “overused” resulting in many coins showing this common form of doubling. Die deterioration doubling is not generally considered collectible. Please see Jason Cuvelier’s excellent tutorial on the subject Here. Section 2: Master Hub. These are all common and hold no premium. 1. 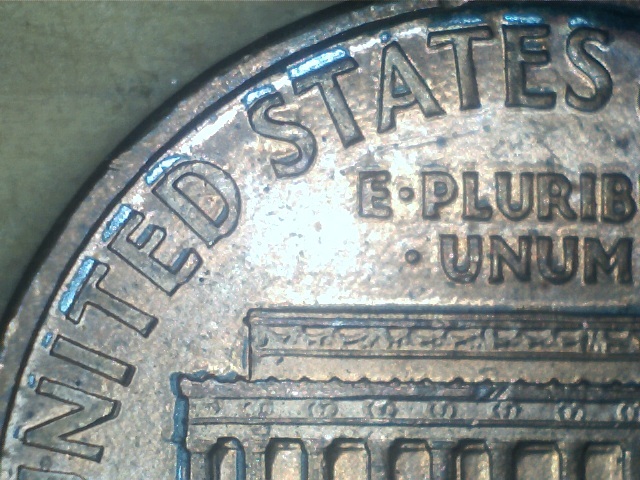 The 1909 reverse master hub, showing on the bottom of some of the letters in CENT and UNITED STATES OF AMERICA. This showed up for several subsequent years as well. Images by Jallengomez. 2. 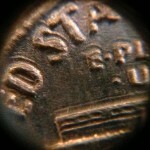 The 1909 obverse master hub on the BE of LIBERTY and the W of We. The extra thin bar on the vertical of the B and the extra notches on the W can be seen spanning many master hubs and exhibits for many years until they were redesigned in 1955. 3. 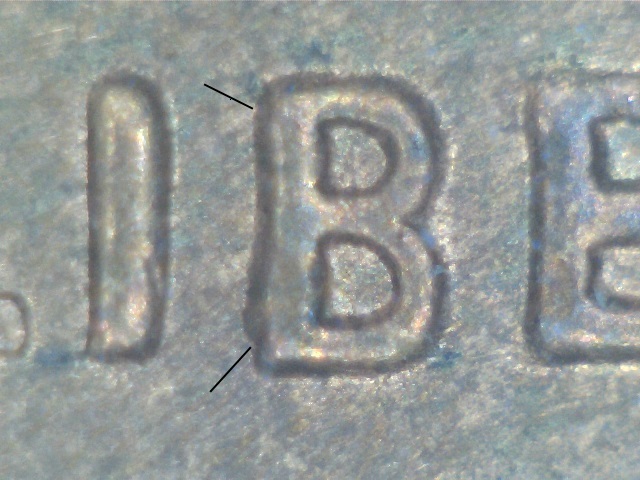 The 1933 obverse master hub and its successors used in 1935, and from 1937 until 1955, which showed a bold doubled forehead and front hair curl. Additionally, there are many master hub anomalies confined to individual master hubs. 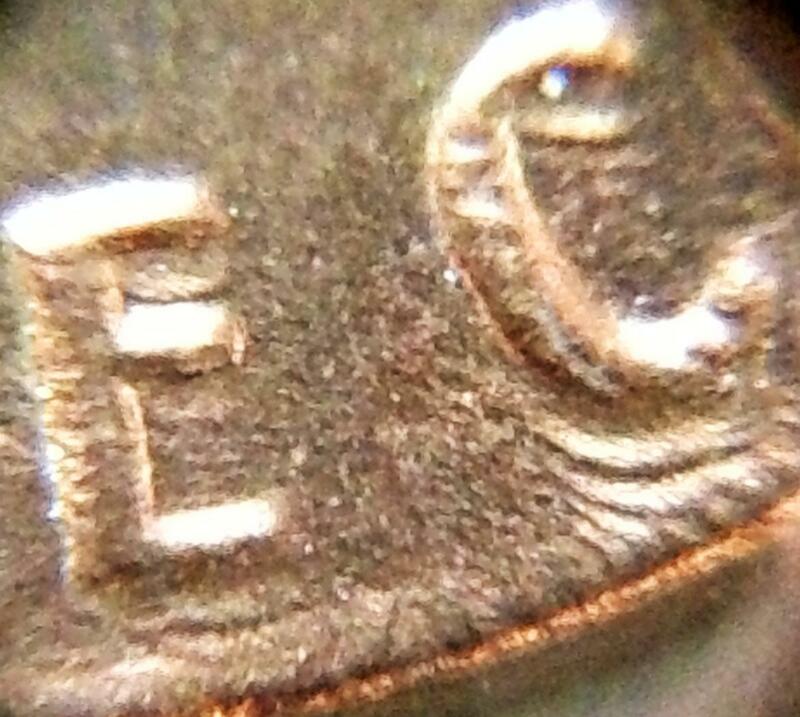 For example, from 1937 through 1942 (excepting 1938) the R in LIBERTY had a notch on the top left corner. This exhibits on all dies spawned from this master hub and is NOT the result of a chipped working hub. Section3: Master Die. Again, these are common and hold no premium. An additional example is this doubled forehead, nose, and chin seen on 1946 cents. There were many other cases of master die doubling, too numerous to demonstrate here, but the most often confused case is in 1972. There were 2 master dies used this year, one showed “doubling” and one did not. Jason Cuvelier’s tutorial on this subject can be seen here. Section 4: Working hub. Again, these are common and hold no premium. 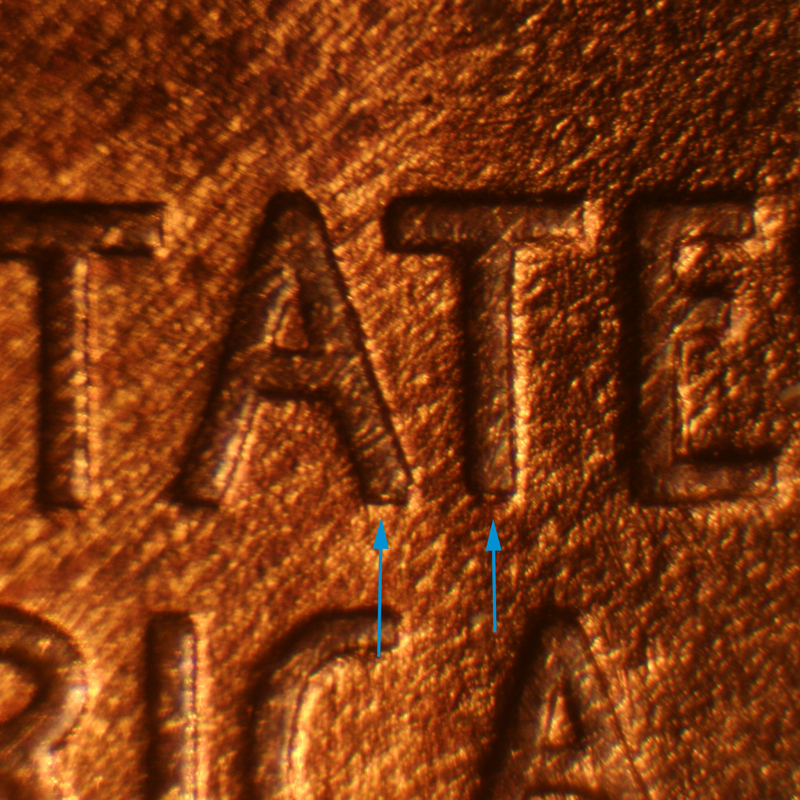 Channeling (Trenching): On many Lincoln cents from the 1920s to the 1950s, we see an incuse “channel” surrounding parts or all of Lincoln’s bust. It is believed that many working hubs had this channel engraved around the bust, possibly in an effort to prolong the life of the working hub, or to sharpen the profile, although we are not certain of the reason. 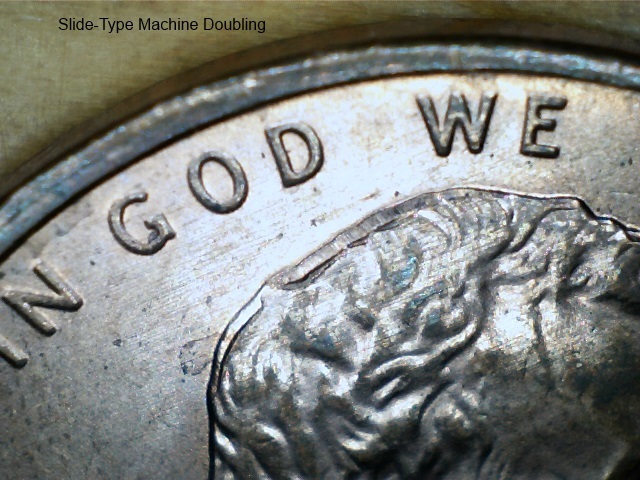 Once believed to be a master die issue, it is now more commonly believed to have been done on individual working hubs, as it shows inconsistently on coins within a given year. Section 5: Doubling on errors. 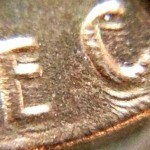 Unlike the other listed forms of doubling, these errors can carry strong premium. 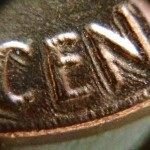 Grease Mold Doubling (Stiff Die Fill Raised Design Element Doubling): error-ref.com‘s term for a recently discovered form of doubling being found on cents from the mid to late 1990s, affecting the terminal digit of the date. In this term, the word “mold” is used as in “jello mold,” not as in “black mold,” or fungus. Presumably, a greasy/gunky film covering the die surface can become hard enough from the striking process that it forms a solid mold of the design element. 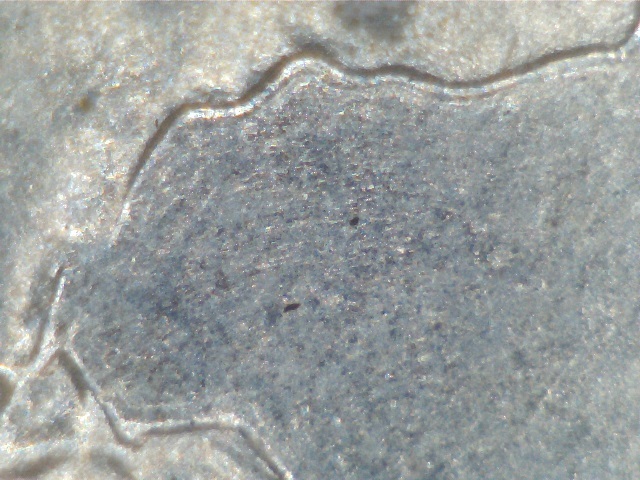 If this solid mold of gunk begins to shift into the field from its original position, and since it is in the same shape as that portion of the die, it can create a raised design element in an offset position. Of course, since this mold will be somewhat smashed during the strike, the slightly raised element will be larger that the original design element. In addition to the link at the beginning of the entry, please also see this article by Mike Diamond for more information. The images below were donated by jallengomez and Joel. 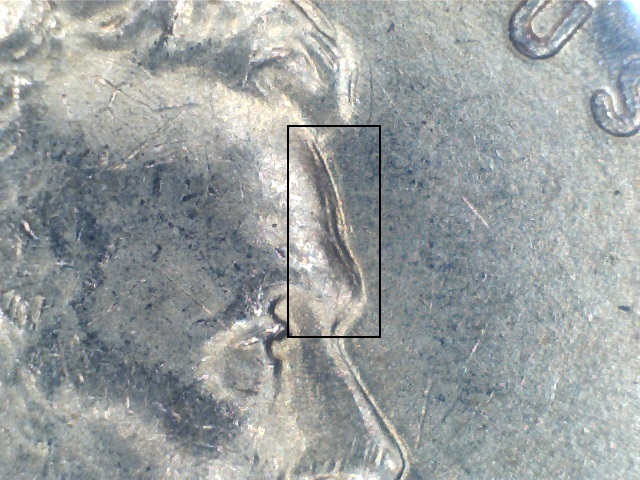 Double Strike: A coin that failed to completely eject from the striking chamber and was therefore either partially or completely struck a second time. This should not be confused with Strike Doubling, which is another term for machine doubling. Section 6: Doubling on the Mint Mark. Broken Mint Mark Punch: Sometimes the punch that is used to make the mint mark on a working die can be damaged or broken. 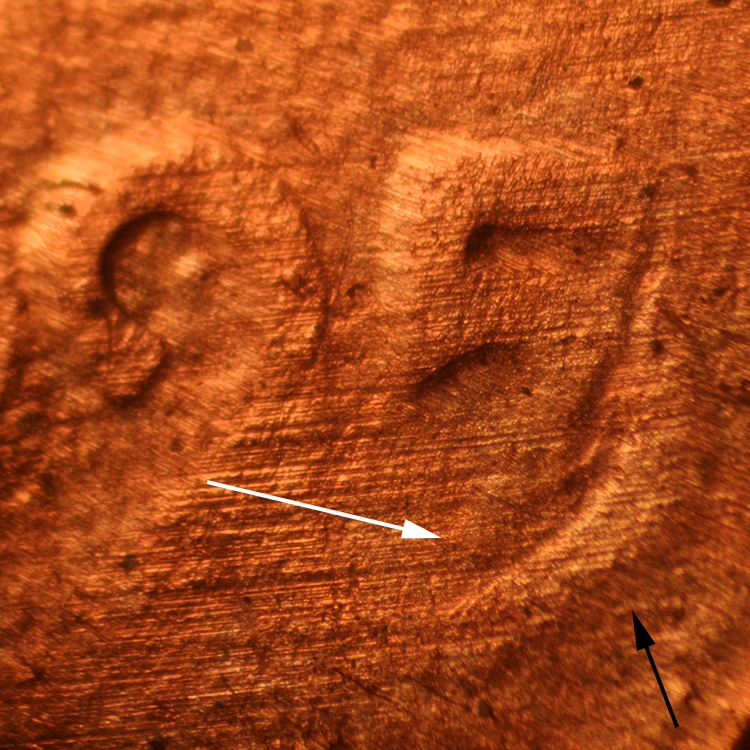 Each coin struck by these dies will also show these irregular mint marks. 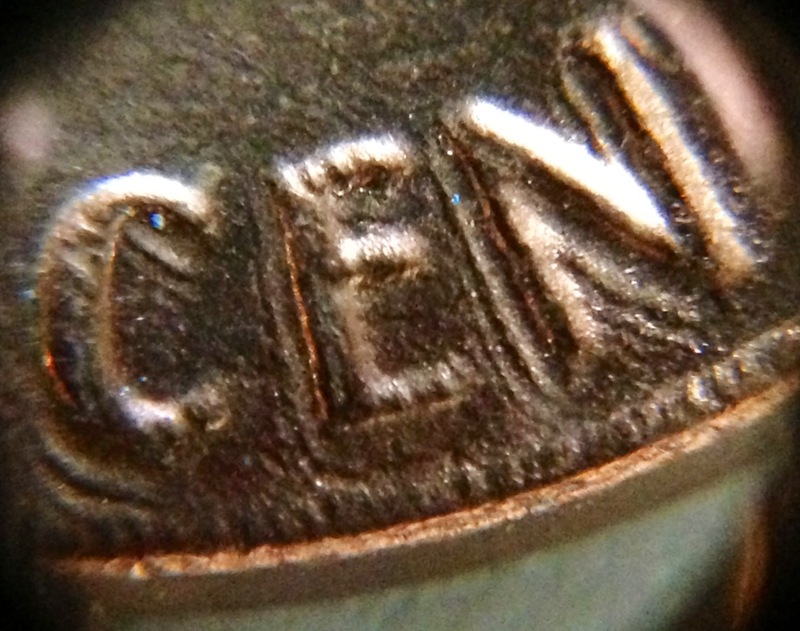 They can sometimes resemble a re-punched mint mark as is the case on this 1979D cent. 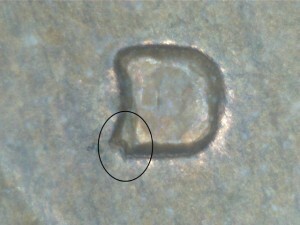 This broken punch was used on many 1979D working dies. Rippled Coin: This is a form of post-strike damage that causes a doubling (or multiple) effect on the devices. 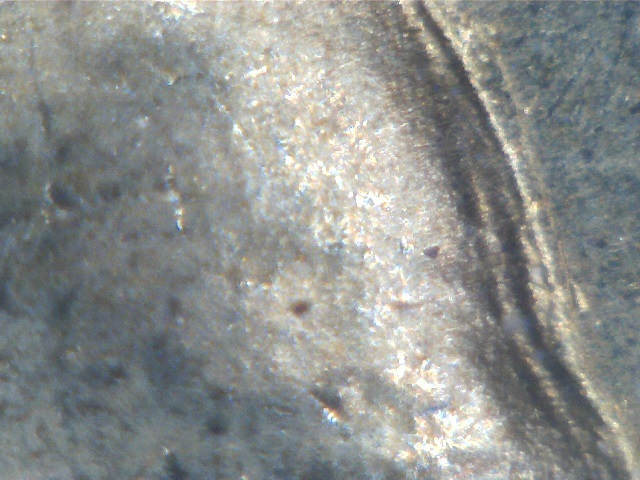 Just as the name suggests, the coin exhibits ripples on its surface, often following the contours of the devices giving them a doubled/tripled/quadrupled appearance. The exact cause(s) are unknown, but contact with an acidic substance is one theory. Photos courtesy of forum member Liz.